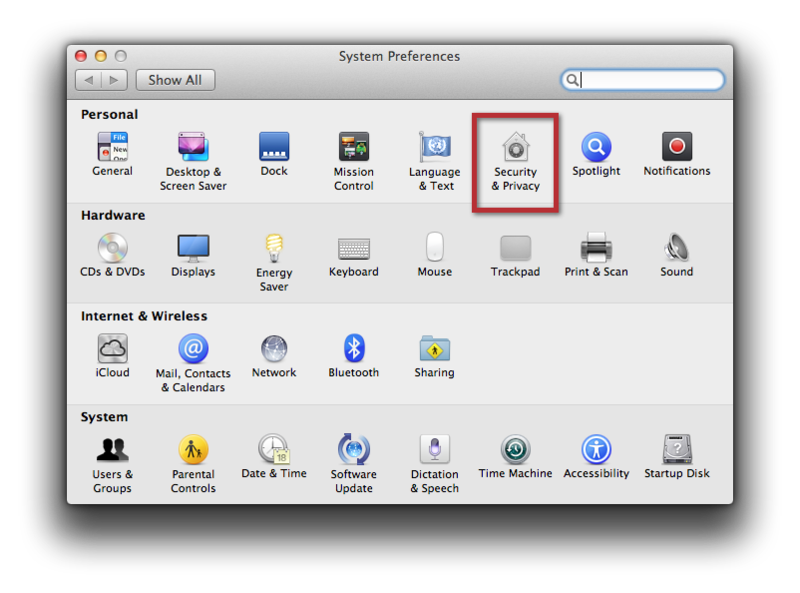 One of the features included in OS X Mountain Lion is called "Gatekeeper," a security system to prevent unwanted applications from being installed on your machine. Depending on your Gatekeeper settings, you may receive an error message when attempting to install or open TuneUp for the first time. To bypass Gate Keeper temporarily and allow TuneUp to install, simply right click (or control click) on the "TuneUp-2.4.8.dmg" file within your Downloads folder, and select "Open" from the drop down menu. If you're seeing this error message after you've already installed TuneUp, perform the same process on the TuneUp application within your applications folder (right click the application, and select "Open"). 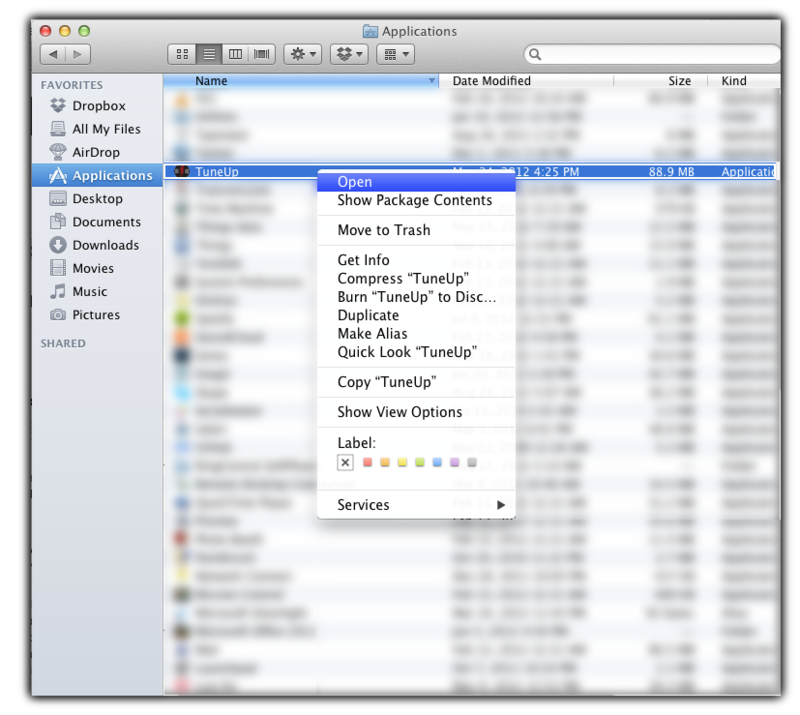 After allowing TuneUp to install/open one time, you should not experience the same issue again in the future. Alternatively, you can also change your Gatekeeper security settings on a global basis to allow TuneUp (and other programs secured and signed with a Developer ID), to install and run on your machine without prompt. 1.) Click on the Apple Logo at the top left hand corner of your screen and select "System Preferences" from the drop down menu. 2.) Click on the "Security and Privacy" icon. 3.) 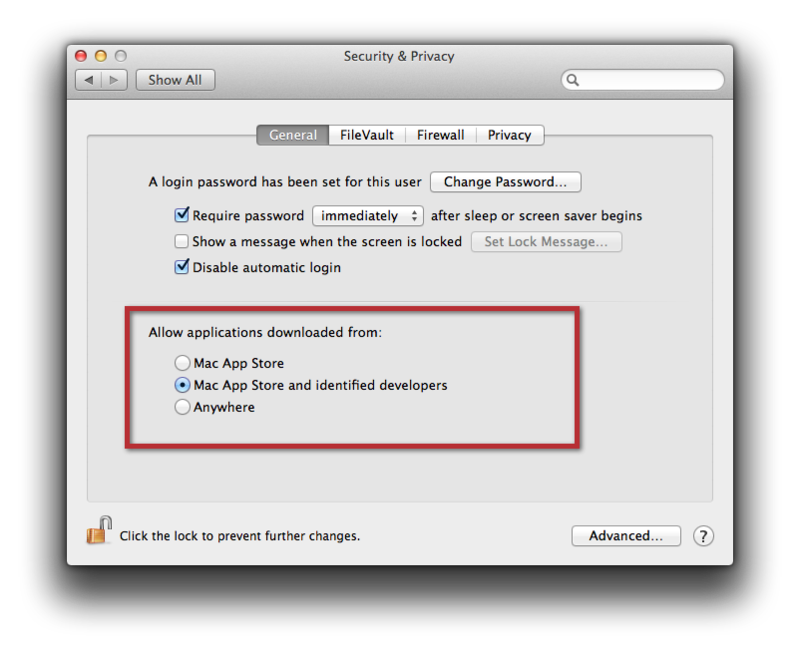 Under "Allow applications downloaded from," select "Mac App Store and identified developers"